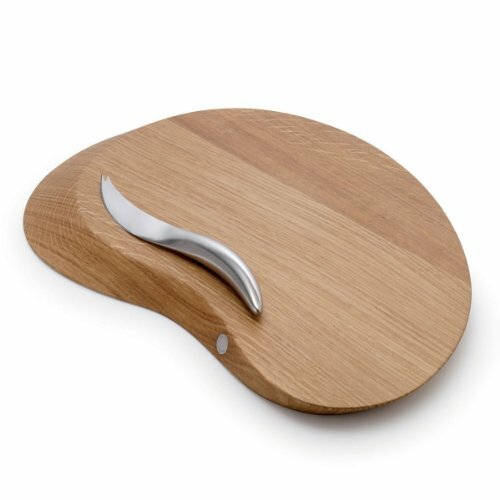 FORMA-Scandinavian design brings sophistication to the table FORMA goes from the kitchen to the dining room with its perfect balance of form and function The FORMA cheese board/serving board brings Danish ingenuity to the realm of gastronomy with this sleek oak cheese and serving board. The polished and treated wood is both utilitarian and chic, a lovely addition to any table setting. Its versatility makes the board suitable for a casual supper or cocktail hour as well as a more formal dinner. Living in Paris inspired the designer to create accessories for dining. She was impressed by the level of care and luxury that went into the French table and sought to recreate this, but with a Scandinavian sensibility.